For fungicide to provide an economic level of blackleg suppression, the crop has to be susceptible to the disease, blackleg incidence and severity must be high (usually due to short canola rotations) and the fungicide has to go on early – cotyledon to 4-leaf stage – before visible symptoms appear. 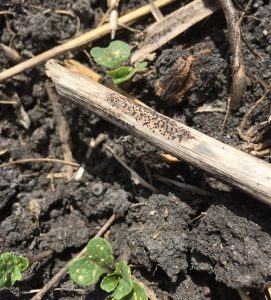 The 2017 Canola Performance Trials are off to a great start this growing season! 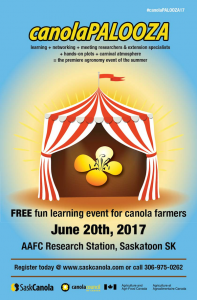 The 25 CPT small plot sites are distributed across Manitoba, Saskatchewan, Alberta and British Columbia. All three herbicide tolerance systems and nine different seed companies are represented. Hot and dry and sand blasting. Tips for spraying in the wind. 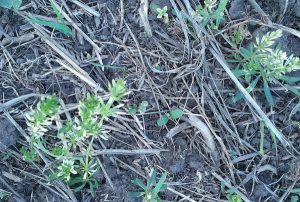 Do you need a second herbicide application? And more. Some fields are thinned by cutworm, diamondback moth larvae are at work but control is not usually required at this crop stage and swede midge are early in Ontario.